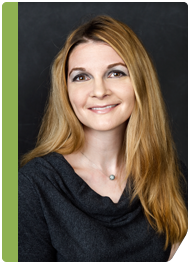 Poplar Healthcare » Julianne K. Purdy, M.D. Dr. Purdy received her medical degree from the University of Cincinnati College of Medicine, and completed residency training in Anatomic and Clinical Pathology at the University of Michigan in Ann Arbor. She then completed a one-year fellowship in Gastrointestinal and Liver Pathology at the University of Michigan under the direction of Drs. Henry Appelman, Joel Greenson and Barbara McKenna. Dr. Purdy is the author of several peer-reviewed journal publications and book chapters in gastrointestinal pathology, and in 2010 received an award from the Rodger C. Haggitt Gastrointestinal Pathology Society for best abstract presentation by a resident/fellow at the annual United States and Canadian Academy of Pathology meeting. Dr. Purdy is board-certified in Anatomic and Clinical Pathology, and is a member of the Rodger C. Haggitt Gastrointestinal Pathology Society, the United States and Canadian Academy of Pathology, the American Society for Clinical Pathology and the College of American Pathologists.